According to screenwriter Anthony McCarten, there’s one proven theory about working in the creative arts: You need to have a whole lot of persistence to get things through. Such was the case with Academy Award Best Picture nominee The Theory of Everything, which took no less than a decade to get off the ground. 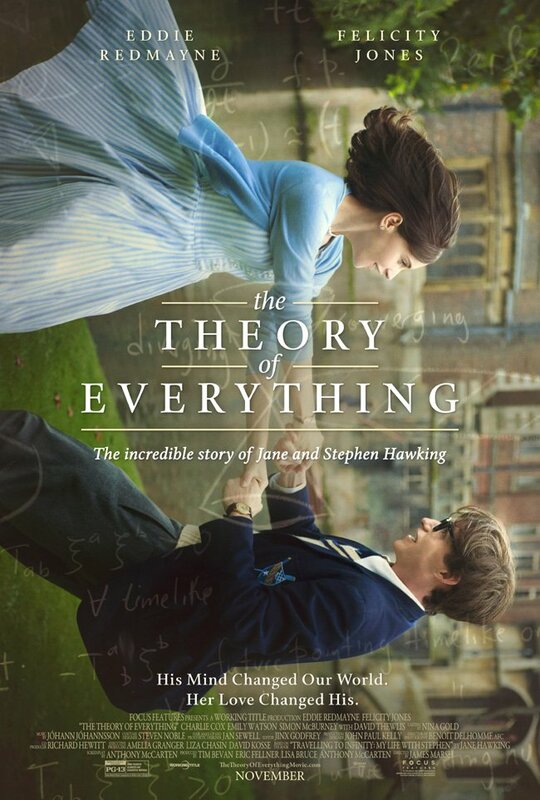 Since the initial reading of Stephen Hawking’s book, A Brief History of Time, and Jane Hawking’s autobiography, Traveling to Infinity, the eight-year journey to build trust, secure Jane and Stephen’s permission, and produce the film itself under the masterful talents of director James Marsh and actors Eddie Redmayne and Felicity Jones, The Theory of Everything was the kind of labor of love that Richard Linklater might appreciate. A native of New Plymouth, New Zealand, Anthony McCarten began his career as a journalist, went to school for poetry, and worked as a Shakespearean actor and playwright for many years before venturing into the world of novels, where his first book, Spinners, earned international acclaim. Along the way, he did more writing for television (The English Harem), stage (Ladies’ Night), and film (Show of Hands), before adapting his third novel, Death of a Superhero, to the big screen in 2011. 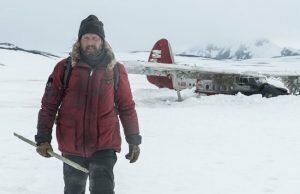 The film starred Andy Serkis and made its world premiere at the Toronto International Film Festival. 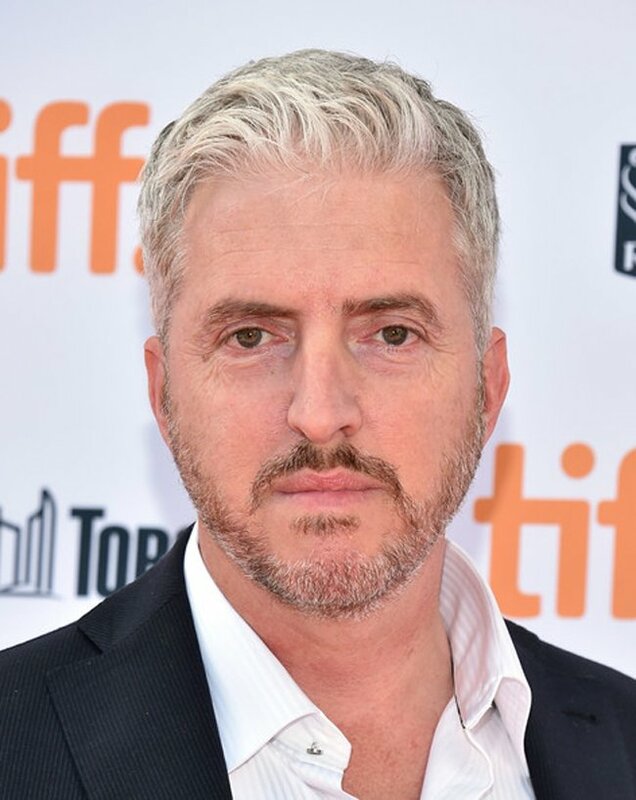 At the Toronto International Film Festival, The Theory of Everything producer and screenwriter Anthony McCarten. Today, as The Theory of Everything rounds out the award circuit from Golden Globes to BAFTAs (McCarten won for Best Adapted Screenplay) to Oscars, McCarten continues to take pleasure in crossing over into different mediums. He recently adapted his latest novels, funny girl and Brilliance, into plays. And he’s currently collaborating with director George Clooney on Hack Attack, an ambitious project that hones in on the current state of journalism—a subject that brings him full circle. Mark Sells (MM): Starting out as a journalist for The Taranaki Herald, what types of things did you write about? Anthony McCarten (AM): It was a very small newspaper and I was the sole journalist in charge of this vast area of rural countryside, New Plymouth. So, my interest and my area of concern was simply everything. MM: You studied under Bill Manhire, a very well-regarded poet and professor (Victoria University) in New Zealand. What did you learn from him that has carried on in your writing today? AM: Everything was instructive about that course. Getting into it was actually a lesson in itself. I was not initially accepted into his course. But something in my nature compelled me to charge up to his door, beat on it, and ask for an explanation—why was my sheet of rural poems not enough to impress him? 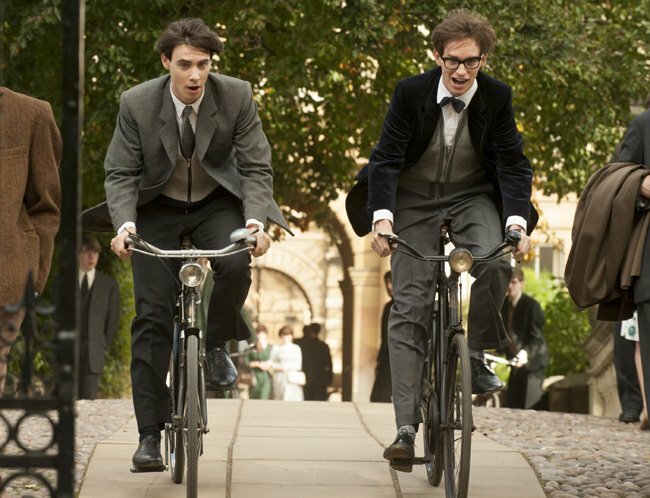 Cambridge students Brian (Harry Lloyd) and Stephen (Eddie Redmayne) go for a spin in The Theory of Everything. (Laughs) I think he was slightly amused. He said there was just one spot remaining in his course and asked me to convince him as to why I should have it. It’s an element that’s not talked about enough, i.e. how to succeed in the creative arts. You need to have a lot of perseverance and persistence in order to get things through, which was certainly true for The Theory of Everything. And obviously, it also worked to get into his class. Throughout the course, he would just sit back and observe. He was more of a presence in the room, letting us all imagine that we were professionals, which we were clearly not. But that imagining was enough to fuel our ambition and our creativity. It made us serious about what we were doing and made us very serious about writing. MM: After leaving Victoria, how did you go about a career in writing? Did you always want to write novels and plays and screenplays? When I left university, I tried making it as a poet for a while, but there was no money in poetry. So, I turned up at an unemployment office and they said, “We have no positions for poets at the moment, but can you act?” I said yes, of course, but it was a complete lie. And I found myself performing a reduced Shakespeare for schools. This threw me into the world of actors and opened a door for me to write a play. It’s how I morphed from someone who wrote poems to someone who wrestled with plot and structure and character and movement and so forth. 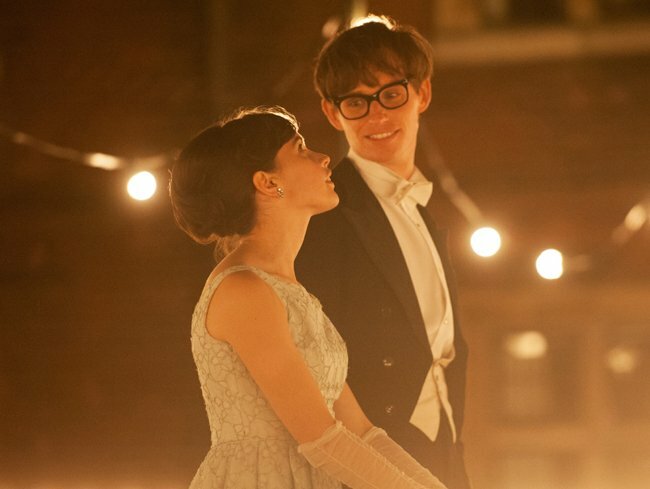 Felicity Jones and Eddie Redmayne as Jane Wilde and Stephen Hawking. I was 10 years into being a playwright and, during that time, nurtured a desire to write a novel. While I was developing my skills as a novelist, opportunities arose where I was asked if I would be happy to turn my novels into movies. And that returned me to my first love, which was TV, and the stories I grew up watching in black and white. MM: Who were you inspired by? AM: Well, I’m pretty naïve about writing. I’m self-educated and just found my way. As a playwright I was taken with the works of David Mamet, the muscularity in the language, and his ear for heightened naturalism. Harold Pinter was also an inspiration as was Arthur Miller—great people to study. In the realm of the novel, I fancied post-war American writers like Philip Roth, Norman Mailer, and John Updike. And in film, I loved Lawrence of Arabia, which I saw when I was eight or nine. It left a huge impression on me, i.e. how broad the canvas could be with a movie. I also liked the Godfather movies. Scorsese was a favorite, as was Bertolucci. AM: Well, I had already been in awe of Stephen—the man and his ideas. He was such an unprecedented character and I wondered why no one had made a feature film about him. But no one had. I’d read his book (A Brief History of Time) and tried to understand it, but it really wasn’t movie material. Then, in 2004, I read Jane’s book and saw a way in—a love story that would be very empathetic and would get around the problem of Stephen being on record saying he didn’t welcome any investigation of his private life, which was quite a roadblock. Would Jane be amenable? I got on a train and went down to see her. I knocked on her door and begged her to give me permission to buy the rights to her book and adapt it. I had hoped that my charm would result in her signing off that very day, but I guess it’s a measure of my charm—or lack thereof—that it took eight years for her to sign that piece of paper. On that day, however, we did begin a conversation that resulted in friendship. I showed her drafts of the script along the way and even initiated the republication of her book when it went out of print. Eventually, the necessary trust was established where she felt confident enough to sign over the rights. 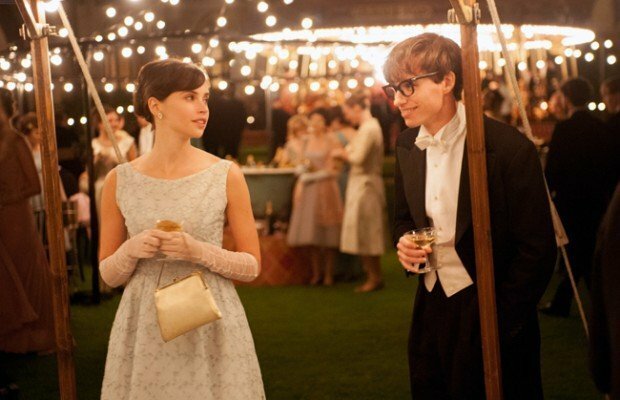 Felicity Jones stars as Jane in The Theory of Everything, adapted from her memoir, Traveling to Infinity: My Life with Stephen . MM: There have been numerous works on Stephen Hawking—films, documentaries, and books. Were you influenced by the other sources to adapt The Theory of Everything? Were you obligated to stick solely to Jane’s book? AM: Neither. I thought I was doing something unprecedented and fresh. The only previous attempt to make a feature length story about Stephen had been the BBC version (Hawking) with Benedict Cumberbatch, which focused on his first two years at Cambridge when he was able-bodied. But nobody had tackled what I thought was the largest challenge: a love story where half of the story, Stephen couldn’t talk or move. That was the story yet to be told. And when it came to Jane’s book, I wanted to make sure it was evenly weighted. I didn’t just want her perspective. I wanted Stephen’s as well. Jane’s book acted as the starting point. MM: Is your approach in adapting someone else’s work different than your approach in adapting your own material? AM: Yes, I think necessarily so. When adapting fiction, it’s tough because you’re inventing something out of nothing. But you’re also unlimited because there’s no structure to what you can do or what you can reach for. When adapting someone else’s book, especially one that is based on real events and people, you have to work within the confines of history, honor the known historical facts, and avoid distortions. It’s very tempting to invent incidents because it would make for a better script, but you have to find your own moments of drama and work with the hand that’s been dealt you. You’re not as free, but sometimes limitations can be a great source of creativity. What has emerged for me has been how personal writing about other people can be. Once you’re drilling down into deep, emotional territory, and the essence of what the film is about, it’s inevitably personal because history doesn’t give you dialogue. It may give you a phrase or a well-known pronouncement here and there, but you’re essentially on your own, inventing what he said to her and what she said to him. And there’s a great deal of originality and personality in that. MM: As a writer, you’re always rewriting and editing. 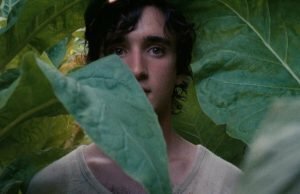 Were there any specific scenes or moments that had to be taken out of the final script that you loved and wanted to keep, but didn’t make sense in the overall telling of the story? 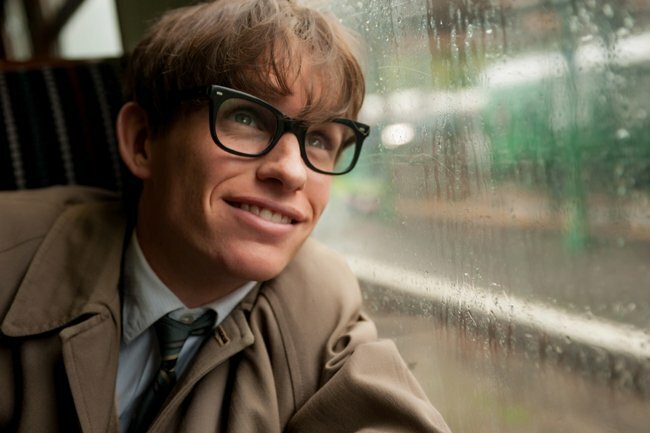 Eddie Redmayne plays Stephen Hawking in The Theory of Everything. AM: Yes. There was one sequence that I thought was important from a storytelling point of view and would have been nice to have, but ultimately, wasn’t essential, i.e. the film works well without it. And that was a sequence where Stephen realizes that his hands could no longer do the work. They couldn’t do the mathematics anymore and he fell into deep despair. At a garden party at his college, everyone is carousing on a croquet field at night. In the middle of the field, he lies down on the grass and starts to see the croquet balls as planets and their orbits. His friends come over because they think he’s drunk, lying flat on the grass. But as they pull him up, they notice a starry look in his eyes. This is an aspect of Stephen’s story that I found most interesting, i.e. that his disease forced him to visualize. Many people have suggested that his original ideas couldn’t have been arrived at by pure mathematics. They needed to have this unusual approach to visualization first—another clear example of how limitations can unlock creativity. MM: In addition to Tim Bevan, Eric Fellner, and Lisa Bruce, you’re also one of the film’s producers. AM: Yes. I tried to secure the rights on my own. It was a spec script, a pet project, and I persevered with all of the drafts and rewrites, covering all the production costs for the first five years. Then, Lisa Bruce joined me and I continued to cover the costs until we secured the interest of Working Title. When we signed over the rights, which was eight years into the process, it warranted a producer credit. As we started to put together the creative team, I was part of the discussions. I was on the set every day watching the production, I was present when James first cut the movie, and I was involved in every decision on the movie all the way to presentation, even contributing ideas on how we would sell the movie to the public. It’s been such an excellent journey and privilege to work on it all these years. MM: Speaking of James Marsh, what made him the right director? AM: He’s an extremely smart man and a graduate from Oxford University. He knows the rarefied air of that world from the inside out. And as he showed in his documentary Man on Wire, he knows how to create enormous drama, emotion, and psychological tension. Producers Anthony McCarten and Lisa Bruce on the set of Focus Features’ The Theory of Everything. When I first met him, he had a great seriousness about his approach to everything, which made me think, “He’s going to care. He’s going to care about everything on this film.” And that proved to be the case. Financiers were very excited to work with him as he was an easy sell. He was also able to draw a great cast. MM: Did you ever envision the caliber of talent found in Eddie Redmayne and Felicity Jones? And hearing your words through their voices? AM: I have to say, that was one of the best days on the job that I’ve ever had—when I first heard the dialogue spoken so beautifully by these two actors. They put fire into the lines and I felt so grateful for them. It’s one of the great aspects of being a writer: when you have terrific actors that take lines that you said to yourself so poorly while hunched over a typewriter and they make them great. It’s so fulfilling to see the dialogue go airborne. From the beginning, I knew that Eddie and Felicity were going to be very good. But I didn’t know that they would be spectacular together. The cliché is chemistry, but they truly had great chemistry together. They would issue challenges to one another and as each challenge was met, they would go higher and higher. A line would be said with a degree of intensity that would surprise the other. And the other would then come back and up the ante. Watching these great performers scale the heights on any given day was such a privilege. MM: What was your first meeting with Stephen like? AM: It was charged with such nervousness because by then, I had been working on the movie, more or less, for 10 years and I felt that it was morally incumbent on me to get his blessing. There was no certainty at all that he would give his blessing. After all, there’s a script that was inspired by his ex-wife’s biography, and what man wants his story told by their ex-wife? Initially, he agreed to meet me, but only on the condition that he read the script first. I didn’t know if he was going to compliment me or lambast me for invading his privacy. So, it was a very nervous meeting. James Marsh came with me and it took about 15 minutes for him to write his first message back to us. Shortly after, it became very clear that not only was he going to allow us to go ahead, but he was going to start supporting the movie and allow us to use his computer voice. He even offered us his autobiography, which had been unpublished at that point; plus his memos and citations to use in the movie. He was extremely generous. And now, he’s rocking the red carpet, appearing at all our premieres around the world. MM: Lastly, what can you tell me about Hack Attack? Photos courtesy of Liam Daniel / Focus Features, 2015.